"Well, they do call me the most beautiful of the Five Great Swords." 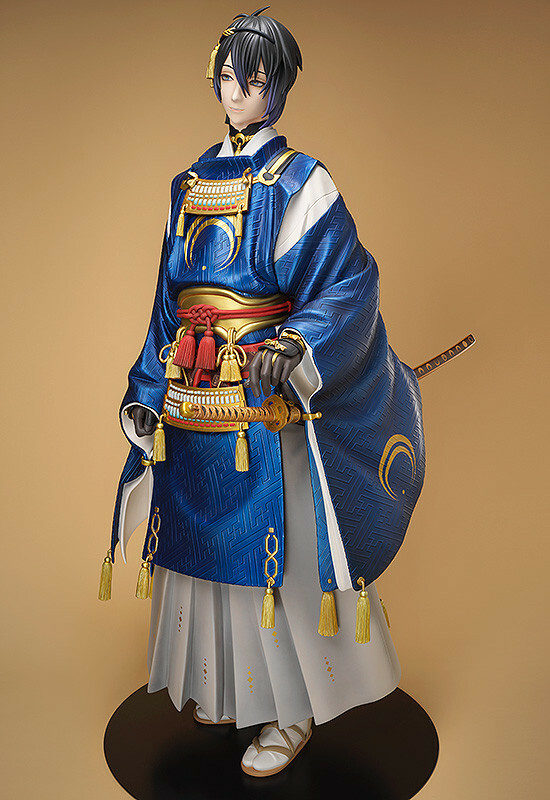 From the popular browser and smartphone game "Touken Ranbu -ONLINE-" comes a life-size, 1800mm statue. 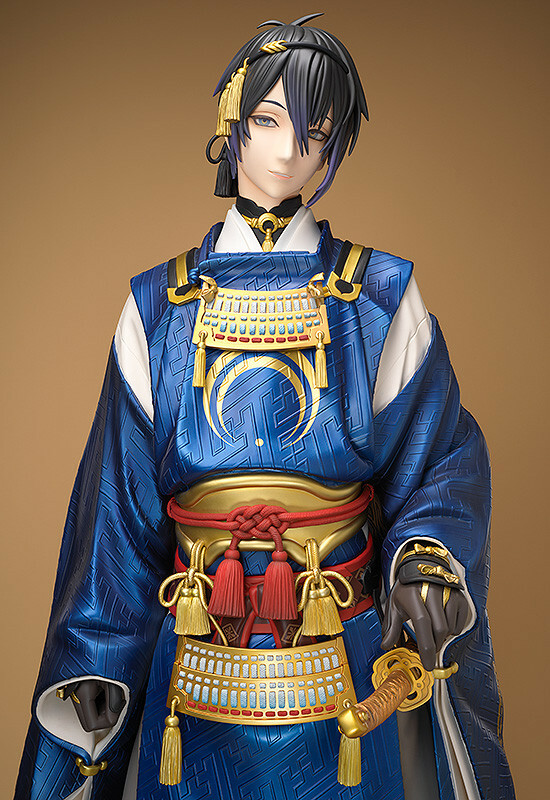 Mikazuki Munechika, said to be the most beautiful of the Five Great Swords, has been brought to life as a 1/1 scale, life-size statue. 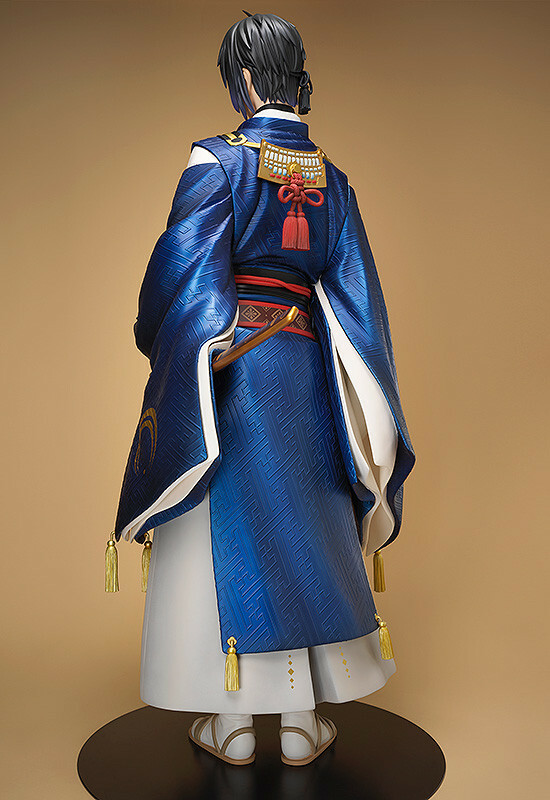 His gorgeous outfit has been sculpted with a level of detail only possible in life-size form. 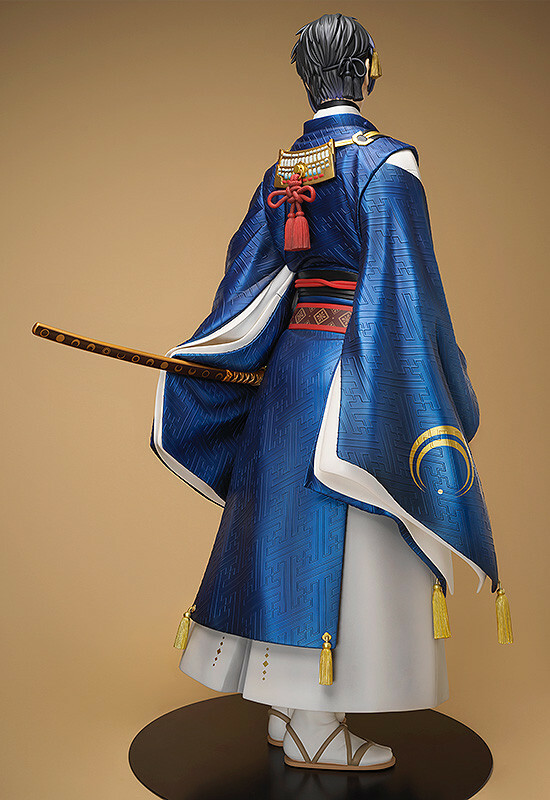 His dark blue kimono has been created with unparalleled quality utilizing a three-layered painting technique. 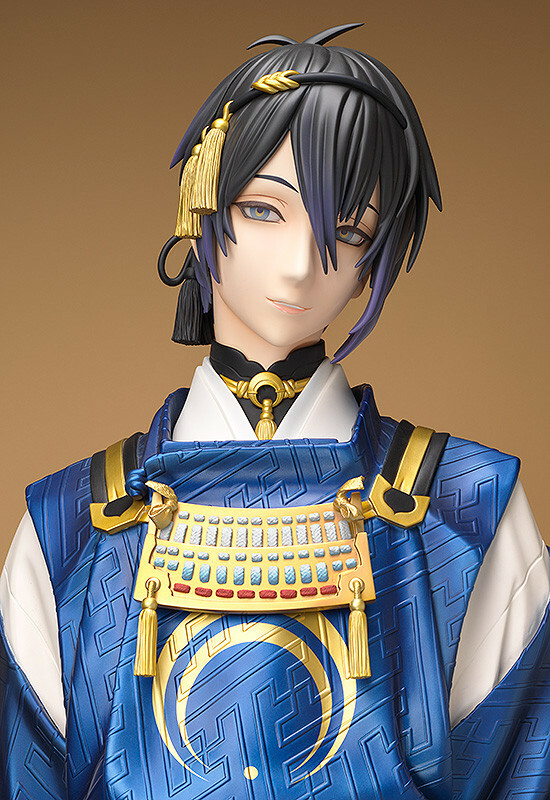 The ultimate collector's item for Mikazuki Munechika fans! Urethane paint painted life-size FRP&ABS (Statue) / Iron (Stand) product with stand included. Approximately 1800mm in height. Only one statue per person. Cancellation/exchanges following the lottery results can not be accepted. Separate costs will be incurred for shipping and installation. 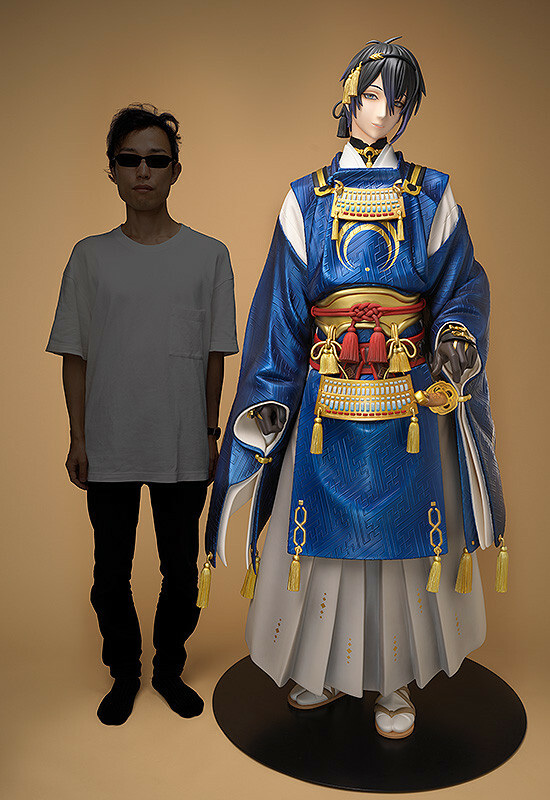 Statue will be shipped from the production company. 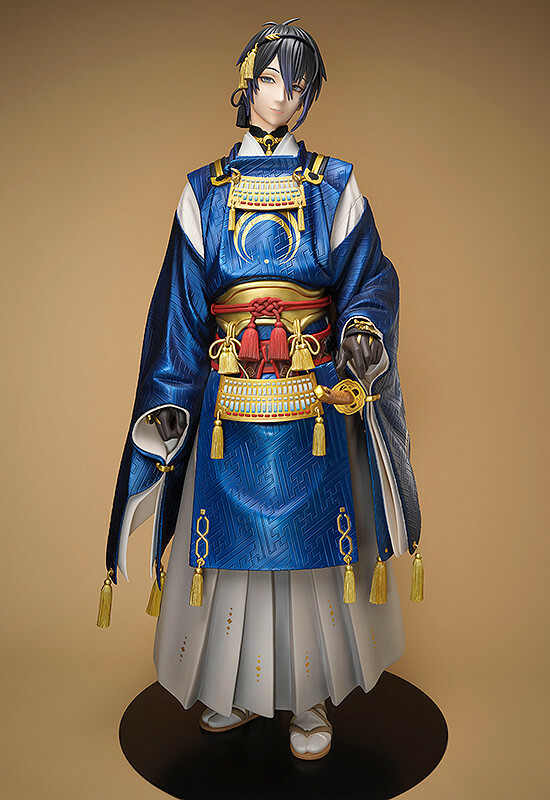 Delivery and installation will be scheduled with the customer after confirming intent to purchase the statue. 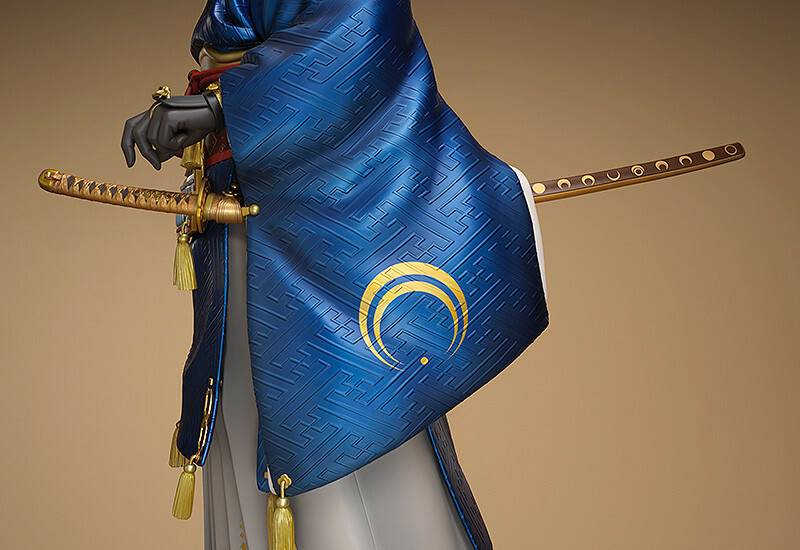 Release and ship date is expected to be Autumn of 2019. A confirmation mail will not be sent after entry, so be sure to make sure your information is correct prior to entry. Successful entrants will be contacted by mail. Please make sure your email is entered correctly prior to entry. We can not accept any requests for information regarding the notification of successful applicants. It is possible that traffic on the entry form will be very high upon the start of the entry period. As long as an entry is sent during the application period, it can be accepted. Design, etc. is subject to change without notice. 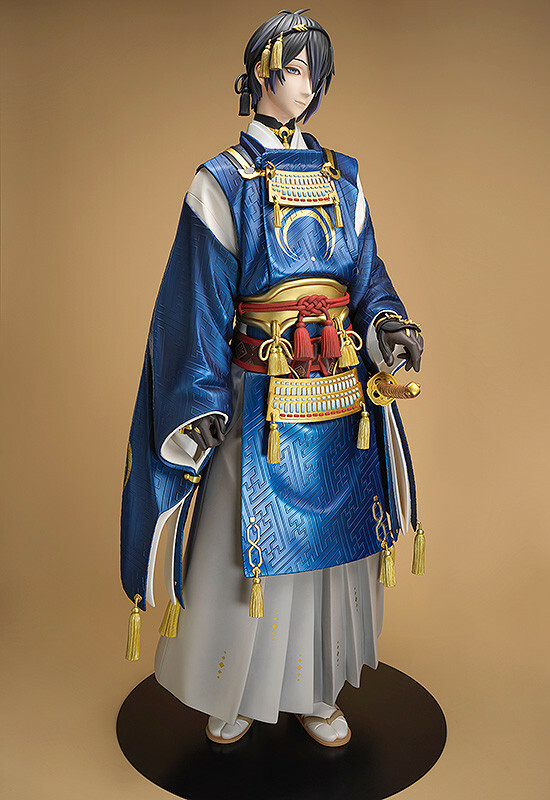 Statues are handmade individually, so minor details of the statue may slightly vary. Statue can only be installed on property of the buyer. Post Office Box addresses and forwarding company addresses may be disqualified from the purchase lottery. Entrants who are found to have submitted multiple entry forms may be disqualified from the purchase lottery.